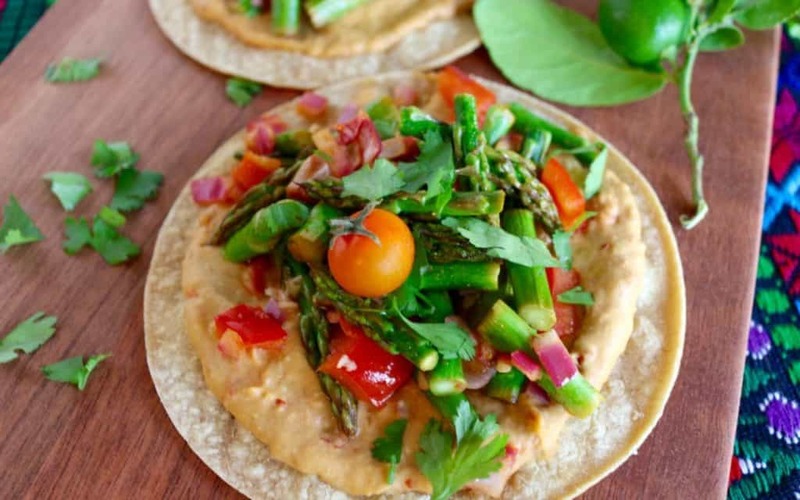 Is your mouth watering looking at that delicious Veggie Hummus Taco? Don’t worry, mine is too! And, lucky for us, the creator of this beauty, The Plant Powered RD, aka, Sharon Palmer, is here to visit with us today! I’ve had the pleasure of meeting Sharon a handful of times over the last few years through our mutual work as communication consultants. I love it when work brings me to events where I get to network with fabulous people like Sharon! 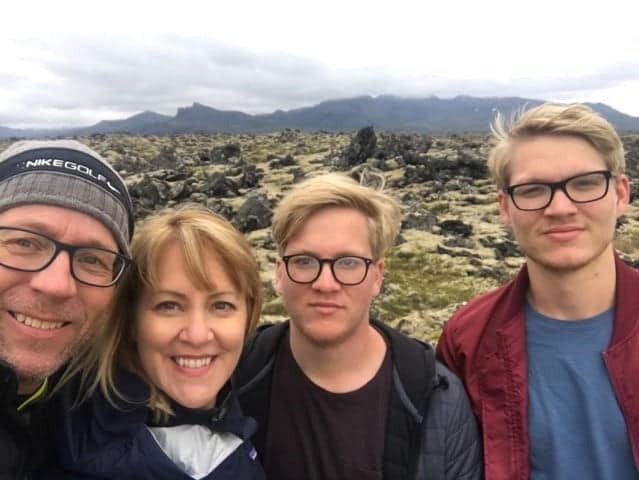 Sharon was so kind to open up with me about her journey to her wonderful family (pictured below) and how plant forward eating has helped her feel the best she’s ever felt. Being October is National Vegetarian Awareness Month, I invited Sharon to share her best advice with us on how to move towards more plant forward eating. Without further adieu, let’s chat with Sharon! Q1: Tell us a little bit about yourself. I’m a mom, wife, registered dietitian, author and simply put, I love what I do! I’ve based my career based on combining my two great loves: food and writing. As a registered dietitian with 16 years of healthcare experience, I’ve channeled my experience into writing features covering health, wellness, nutrition, cooking, wine, cuisine, and entertainment. I’m also a passionate writer about food and environmental issues, having published a number of features on plant-based diets, hunger, agriculture, local and organic foods, eco-friendly culinary practices, sustainability, food safety, humane animal practices, and food security. Over 850 of Sharon’s features have been published in a variety of publications, including Better Homes and Gardens, Prevention, Oxygen, LA Times, Cooking Smart, Delicious Living, Food Product Design, Today’s Dietitian, and CULINOLOGY. She has contributed to several books, including Food & Cultural Issues for the Culinary, Hospitality and Nutrition Professions (Jones and Bartlett Publishers, Inc. 2009). Sharon is also the editor of the acclaimed health newsletter, Environmental Nutrition. Her book The Plant-Powered Diet: The Lifelong Eating Plan for Achieving Optimal Health, Beginning Today (The Experiment, July 2012) was a critical success, and was followed by her second book Plant-Powered for Life: Eat Your Way to Lasting Health with 52 Simple Steps & 125 Delicious Recipes in July 2014. Sharon blogs every day for her Plant-Powered Blog, which one Top 50 Health Blog and Top 100 Nutrition Blog awards for 2015. Sharon also shines in culinary arts, focusing on globally inspired recipes featuring whole plant foods. She enjoys hosting culinary demonstrations and farm to table cooking classes. In addition, Sharon regularly appears in the media as a nutrition expert, and presents on food and nutrition at venues, including California Dietetic Association, Whole Foods, and Supermarket Symposium all across the country. She also serves as a nutrition advisor to Oldways Vegetarian Network and nutrition editor for Today’s Dietitian. She serves as a judge for the prestigious James Beard Journalism Award and Books for a Better Life Award. Q2: What is your food philosophy? Everyone should just eat more plants and fewer animals in whatever fashion that looks right to you! Q3: How long have you been vegetarian? Truthfully, I’ve been various forms of vegetarian my whole life. I was raised on a predominately vegetarian diet and continued my love for plant forward eating throughout my college career and into adulthood. I have eaten meat, but it’s been a VERY long time. 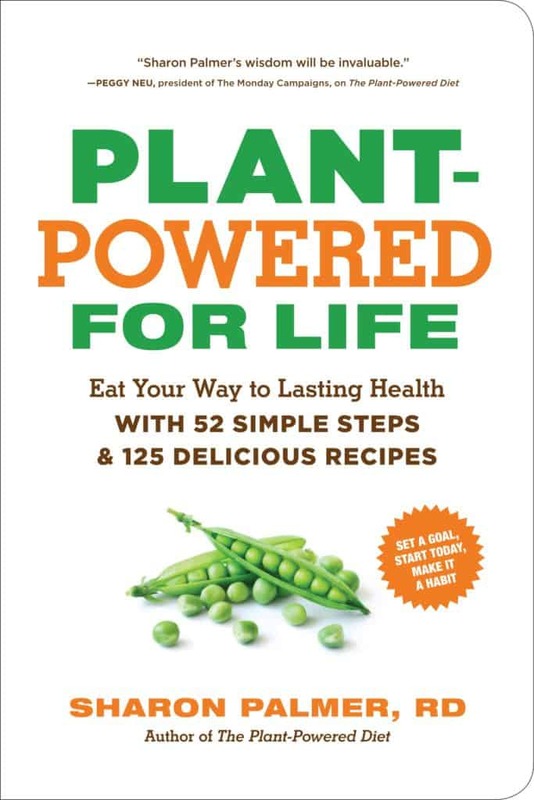 I did dabble in pescatarian (including fish) eating for a bit in 2007 but made the switch to a completely vegan lifestyle when I was researching for my book, Plant Powered for Life. Q4: You have two handsome boys young men! Tell us about your TTC journey. I had a really hard time getting pregnant with my first son and my reproductive specialists said a lot was attributed to my age (I was 34 when I started trying) and my stress. After two unsuccessful attempts in the RE’s office over about a year, my husband and I decided to take some time off from treatments and travel. Lo and behold, during that down time, we got pregnant with our first son. And, 9 months later, found out we were pregnant with our second! Our physician instructed us not to go back on birth control when I was breastfeeding, knowing the struggle we had TTC with our first. Though I definitely recommend speaking with your own physician on the route thats best for you, our doctor did tell us a woman’s height of fertility is actually right after she has a baby! Thus, my boys are 18 months apart. Q5: Did you change your diet when you were TTC? Honestly, I didn’t change my diet very much at all during this phase. Since a lot of the research is still developing in this area and during my TTC there was little to no scientific support for nutrition during infertility, I continued to eat a predominately plant based diet. **Check out the post here for more information on plant based eating and here on tips to incorporate more plants while TTC! Q6: What about during pregnancy? During my pregnancies I was semi-vegetarian, I ate very little meat, but did included eggs and cheese in my diet. Q7: Did you ever have cravings during pregnancy that were outside your diet? Truthfully, I craved carbohydrates and fruits, but really wanted comfort food, like eggs every morning. That was very atypical for me! **More on 30 RDN Cravings during pregnancy here! Q8: What do you recommend for someone who follows a predominately plant based diet during TTC & pregnancy? First off, there are a few nutrients to be aware of, which include vitamin b12, omega 3 fatty acids (ALA, like those in walnuts), and DHA + EPA (such as those found in a algae supplement). Even if you’re a vegetarian its likely you’re not getting enough vitamin b12, so consider taking a supplement. According to the Vegetarian Practice Group, it’s recommended to consume 100% of the RDA in a supplement since absorption is poor in comparison to that in foods. I’d also recommend to focus on increasing your fruits and vegetables to incorporate more phytonutrients into your diet, as well as whole grains for iron and zinc. I would absolutely recommend getting your iron assessed if you have been vegan or vegetarian. But, most importantly, remember a plant forward diet can absolutely be done healthfully to protect the health of you and your baby to be! Q9: For those TTC, what are some tips you’d recommend to increase their intake of vegetarian foods? 1-Try meatless Monday. Commit to one day per week to start. A way to plan and not put it off- plus you can prepare for it on Sunday during your grocery shopping! If you liked it Monday, try to increase to other meals during the week! 2- Take you favorite meal (say tacos) and create a meatless version. Favorite lasagna ?Try it veggie based! 3-Plan your meals around plants. “Center of the plate!” Start with the plant food and build your other food groups around it. Stuff winter squash with quinoa and building the meal around that. 4- Use meat as a seasoning! Use a small amount of meat for a whole family. Stir fry or soup and a few “sprinklings” of animal products! Q10: What are your favorite recipes? **Be sure to check out the 85 vegetarian recipes here too for more inspiration! Thanks so much Sharon for your excellent words of wisdom! Be sure to connect with Sharon at her website and/or social channels below! Looking for more resources on nutrition while TTC? Check out the Fertility Foods Cookbook here!